On April 27, 2011 Lennox Garage Heaters have been recalled. This recall involves Lennox garage heaters with the following model numbers and serial numbers listed below. The brand name "Lennox", the model number, and the serial number can be found on the nameplate located inside the control cabinet. Some heaters were manufactured without a required flame roll-out switch, which is a back-up device that shuts down the heater in the event of a heater failure. This poses a fire hazard. At time of the recall, neither Lennox Industries Inc. nor Health Canada has received any reports of incidents or injuries to Canadians related to the use of these affected heaters. You should immediately stop using these recalled heaters. 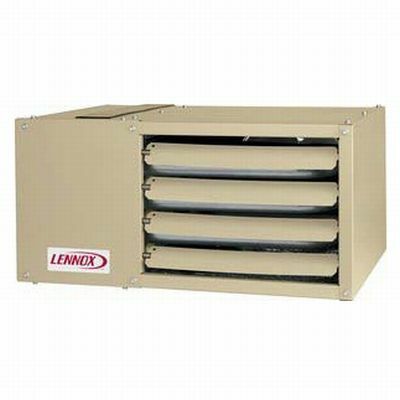 You should contact Lennox Industries Inc. to arrange for an inspection and, if necessary, repair of the heaters by an authorized manufacturer representative. Approximately 290 affected units were sold at various dealers and distributors across Canada. The affected heaters were sold from July 2004 to April 2011. The defective heaters were manufactured in United States. the manufacturer is Lennox Industries Inc., of Richardson, Texas or Advanced Distributor Products LLC, of Grenada, Mississippi.